Welcome to a blog hop featuring products from The Twinery & My Little Shoebox! If you are following the blog hop, you should have come from Megan Aaron's blog! For my project I used paper from the Happy Go Lucky & Lovely Day collections from My Little Shoebox as well as Mandarin twine from The Twinery. I used various patterns of the paper to die cut the raccoon...pretty colorful don't you think? :) The various colors and patterns were so much fun to put together and create with. Definitely not your typical Father's Day card! Here you can see the raccoon's hair a little better. I cut a piece of scrap cardstock down to the size of the top of the raccoon's head, covered it with strong adhesive and then layered twine on top of it. Once I attached it to the inside of my card, I gave the raccoon a haircut so the twine hair was fairly even. Here you can see how the card looks when it is opened up. I scored the bottom of the card so that it folds below where the hair is attached so you don't really see that part at all. Now you KNOW that there are prizes involved with all of The Twinery's blog hops right? Well, this time is no exception! an equally great prize from My Little Shoebox too! To be eligible to win you must leave a comment on each designer's blog no later than 11:59pm EDT on June 24th. Now to continue on in the hop, please visit Grace Tolman's blog! Here is a full list of participating designers today! This is a week long blog hop, so be sure to visit My Little Shoebox & The Twinery's blog each day for a new list! Jen Carter < --- You are here! Hey everyone! Just wanted to pop by and share a few new button pendants that I just added to my Etsy store, Jen's Ink Spot, this morning! These are one of a kind pendants and many use one-of-a-kind buttons too! If you would like to see these or any other of my pendants or button rings, be sure to stop by my shop, Jen's Ink Spot, before they are gone!! Hey everyone! I have a fun request today! There is a contest in our local area that I've entered a picture of my son in! The Star Wars exhibit has come to Wichita to Exploration Place and there is a contest to win tickets to the exhibit. I entered his photo days ago but it needed to be approved first and it finally has! Thing is...the contest appears to end today at Midnight CST! CRAZY! :) For the photo, he had to dress like his favorite Star Wars character, so he is dressed like a Jedi Knight. I have such a short amount of time to get the word out about it, that I am coming begging and pleading for your help, LOL! If you have time, would you mind swinging by and voting for him? There is a widget on the side of my blog that you can click on, or you can click at the bottom of this post as well! You do have to log in to vote, but it looks like you can log in/register using your Facebook account if you have one! Hello everyone!! I know that it has been fairly quiet here on my blog this past month but it seems as though I find myself coming and going around every corner! Whew!! It has been busy!! So, this card that I am going to share with you today seems appropriate! This card features several new Lil' Inker Designs products from the last release! 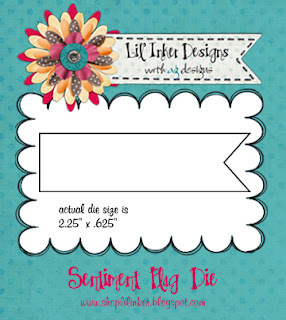 One of my favorite things about the new Sentiment Flags Additions set is that it includes a solid flag image! I loved the versatility that this gave the set! If you have followed my blog for long, you know that I love banners and the solid flag image was perfect for creating a fun and unique banner! 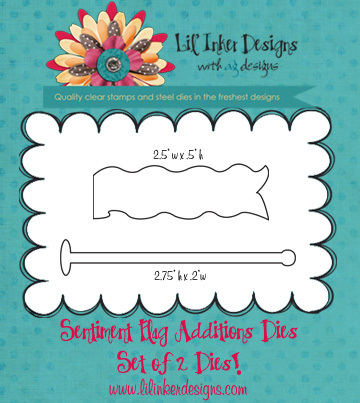 To make the banner, I die cut several of the Sentiment Flags from muslin. I then stamped the solid image onto the muslin. I really liked how well the ink transferred to the muslin. I then lined up the banner flags where I wanted them and sewed them onto the wood patterned paper from My Mind's Eye. I cut the last banner in half and then frayed the edges so part of the flag was missing. 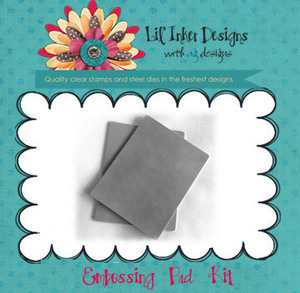 For the red & cream mats I impressed the cardstock with the woodgrain side of the Texture Plate Collection - Frame 1. It works so well with the wood patterned paper that is so trendy right now! Last but not least, I added the "I Miss You" sentiment that is also part of the new Sentiment Flag Additions set. I really like the font and options that are available in this set! I included photos of all of the products available with this set! These are the individual items, but several of them are available in sets as well, so be sure to check those out as well! 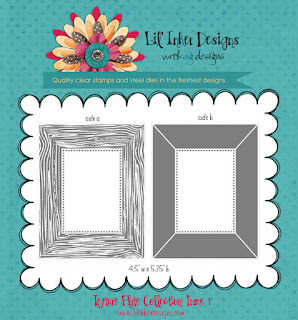 There are LOTS of great products in the Lil' Inker Designs Store!! Be sure to check them all out! Hey everyone!! I have a fun card today! I needed a birthday card for a friend last week so I whipped this one up. I wanted to use my flip flop dies and I wanted to make them move. I kept the card very simple as I wanted to only highlight the sentiment and the shoes. On the inside of the card it says, "Happy Birthday"...in case you wondered how in the world THIS was a birthday card, LOL! Hello! Welcome to another fun filled blog hop with The Twinery! Today we are hopping along with Rubbernecker Stamp Company for another showcase of fabulous projects! If you are following along with the hop, you should have arrived from Juliana Swanson's blog. If you would like to start at the beginning, visit The Twinery's blog for a full list of participating designers. As always, there are prizes available, so be sure to read to the end of my post to find out how to be eligible to win! I have two cards to share with you using the Rubbernecker set "Fall Trilogy" and Twinery twine. First up is this card inspired by some patterned paper I recently saw. I started by impressing stripes on to the white background. I love how a little texture adds so much to a simple card. I stamped several of the leaf images from the rubbernecker Fall Trilogy set on die cut flags (from Lil' Inker Designs) in various colors. Then I stamped text from one of the sentiments on top of the leaves in gray ink. I then used the sentiment "friend" from the set and stamped it in green ink. I attached a butterfly with glue dots that I made with Maraschino & Charcoal twine (you can find directions on how to do this here) to finish it off. The next card I have for you today is another clean & simple one. I die cut three square panels from chipboard and then stamped them with two of the leaf images from the stamp set. I then poked holes in the chipboard and used Charcoal twine to sew a border around each piece. 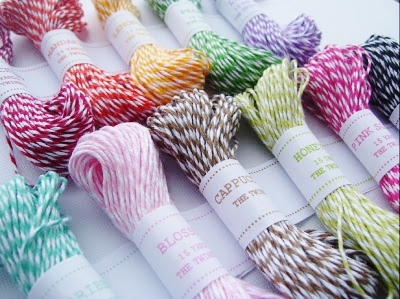 The twine adds a strong pop of color and visual interest. So are you ready to hear about the prizes? 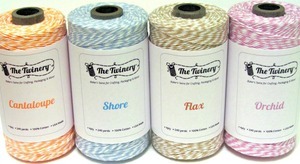 The Twinery is giving away a "I Dream in Twine" Sampler pack, a retail value of $32! 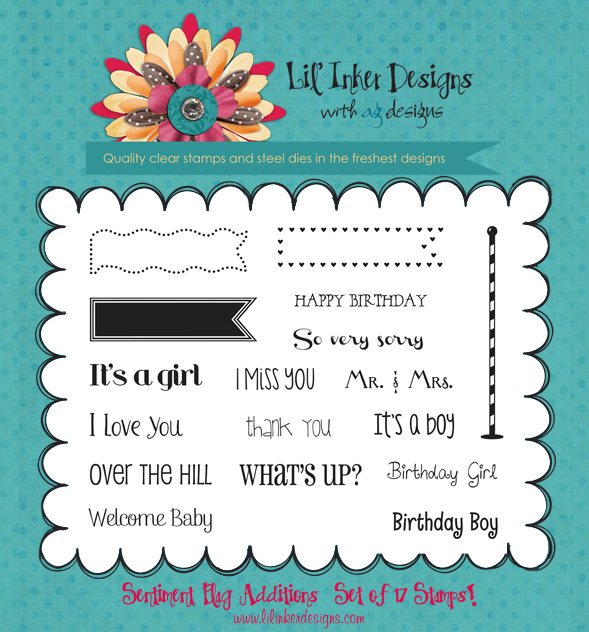 Rubbernecker Stamp Company is giving away a $25 gift certificate to their store! To be eligible to win, we ask that a comment be left on each blog on the hop. To continue on with the blog hop, make your way to Karen Hunsaker's blog! Thank you for coming by!